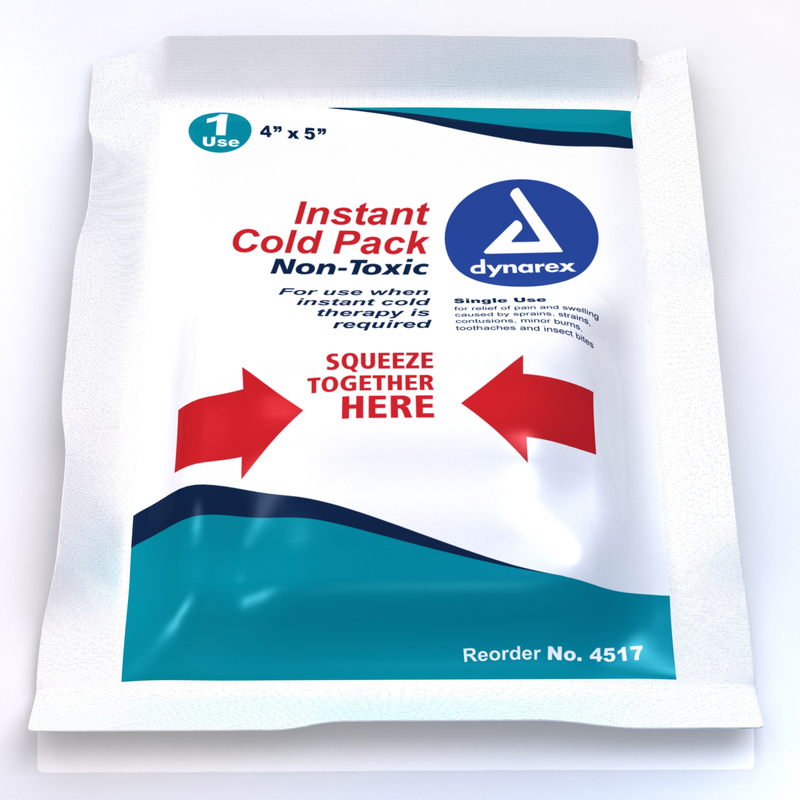 This 4" x 5 " non toxic instant ice pack remains below 5 C for up to 10 minutes. For sprains, strains, dislocation, swelling, minor burns, insect bites, and headaches. Very compact. Great for small first-aid kit.